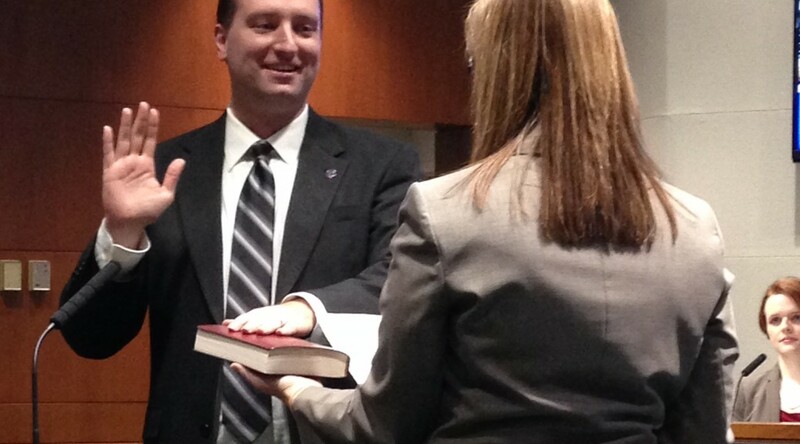 The first order of business at the council meeting last night was to swear in the new council members. The oath of office is required under the Minnesota Constitution (Article 5, Section 6) and the form that the oath takes is prescribed by MN Statute (Chapter 358). I, _state your name_________, solemnly swear to support the Constitution of the United States, the Constitution of the State of Minnesota, and to discharge faithfully the duties of the office of councilmember of the city of Crystal, Minnesota, to the best of my ability, so help me God. I only kind of flubbed one line- not too bad for my first time, I guess.